Here you can find the links to our partner’s website to download a free demo or a full version of a multitude of software products. ALD’s Reliability Software Download Center has various downloadable offerings to meet your needs. Whether you wish to evaluate a product from our free demo downloads section, or get a recent product update, our Download center has it. If you have just purchased ISD software or would like to upgrade your software version, please choose the “Full version” option. You will need an authorization code. Contact us for the authorization code. There is no need for authorization code when downloading a DEMO of ISD’s various software solutions. Presents all RAM Commander features. Full version of RAM Commander Requires Authorization Code. Fully-featured, limited database size version for educational institutions and students. Requires Authorization Code. 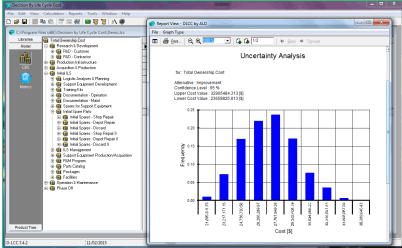 Advanced tool for life cycle cost calculation, total ownership cost and sensitivity cost analysis. and other staff involved in system acquisition, proposal writing, management, development, production and through-life support. Full version of D-LCC 7.4.2. Demonstrate all of FavoWeb FRACAS functionalities and expertise. 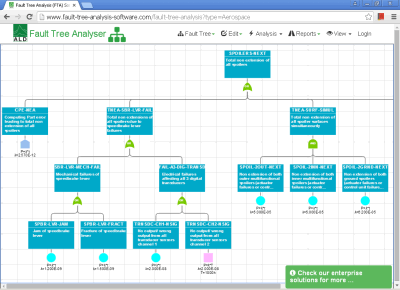 Free Web-based Fault Tree Analysis Software, available on a separate website free of charge. You may create, calculate and save unlimited number of fault trees. 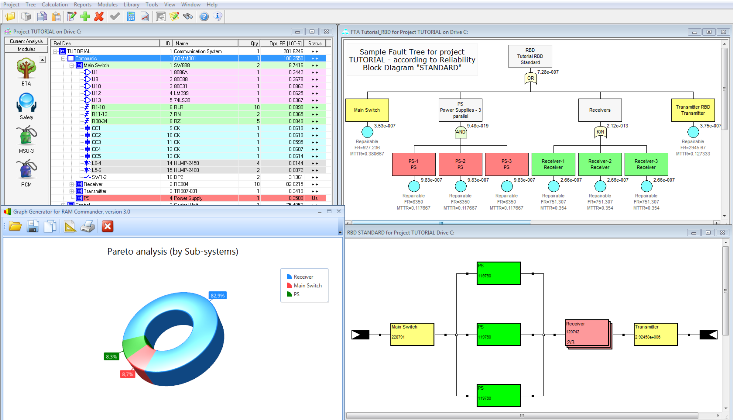 The tool supports major types of faul tree gates and events, Mission unavailability Q(t) and steady-state unavailability Q(mean) calculation and more.